I am dedicated follower of Christ. My name is Ingrid E. Fincher and I am married to Matthew A. Fincher. We entered the covenant of marriage on June 27,2014. We met in early spring 2013, prior to meeting and falling in love we each have had extensive trials in life and traumatic experiences that we endured, however it was our experiences that brought us closer to Christ and has really transformed us, who we are today and how we live. Anything that brings you closer to God is a blessing. 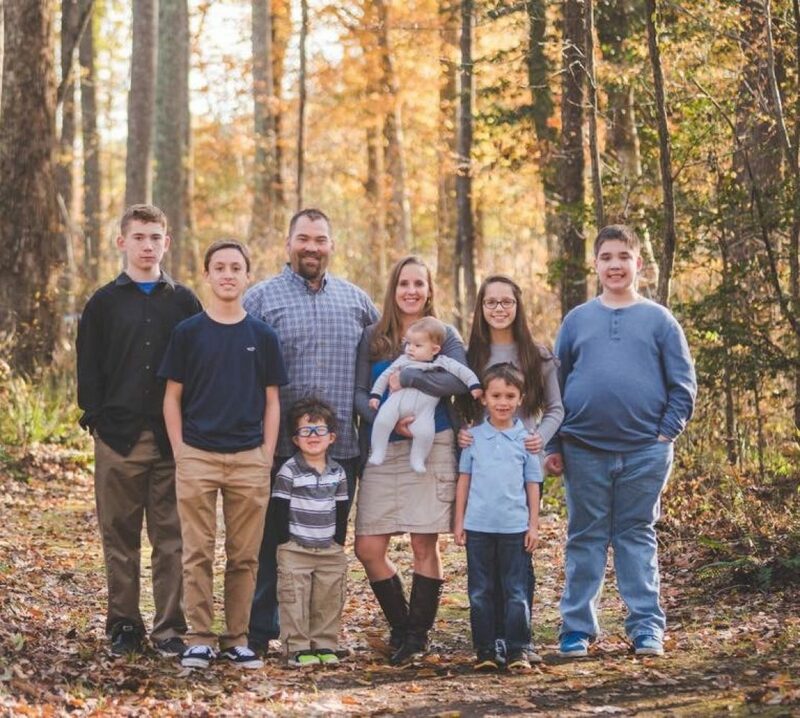 Between us we have 5 children, Joshua 11 years old, Tyler 9 years old, Emily 8 years old, Noah 8 years old and Richard 3 years old. Our family is blending together beautifully and God is just so amazing in bringing us together to share our lives. As we start this journey together we go forward knowing that there will be challenges, probably more hard times than easy, we will have to work diligently and faithfully to make it work, but we also know without question, beyond a shadow of a doubt that with God in the center of our lives, leading us, we will be successful in our efforts, the good times will make the not so good times worth every moment. Our love and laughter will outshine the sweat and tears. It is so remarkable to me, I can look back at my life reflecting on everything that has happened to me prior to meeting Matt and can see how every hard experience I had endured has in some way prepared me to be exactly where I am today! God has a perfect plan, I am not skilled to understand His will or plans but I trust Him. GOD IS AWESOME!!!! So I am here and start this blog today to document our journey as we embark on joining our lives to be one, two broken families come together and unite as one with God guiding and strengthening us. Matt and I will continue to devote our lives to God, and raise our children to love God. Thank You for our children Lord, I know they are a wonderful and precious gift from You. Thank You for bringing Matt and I together, thank You for our relationship and our life together. Please give us wisdom and strength as parents to train our children in the way they should go, give us patient and joyful hearts, let us be an example of Your love and forgiveness. I pray our children our little lighthouses shining Your love for others to see drawing them closer to You Lord. Thank You Lord for the honor and privilege of being a parent. I pray we grow in our walk with You and that we are able to keep our lives and hearts centered around You.